No matter how fast or shiny your Dell laptop might be when they were new, inevitably they all will be getting slower over time. Many problems follow because of slow performance such as taking longer to open a program, Windows getting stuck on startup, file corruptions and so on. All of those have seriously affected your daily work and life. In fact, there are many reasons which can make your Dell laptop run slower such as installing overmuch program, downloading untold amounts of junk and potential malwares. Whatever the cause, here is the solution to fix slow performance on Dell Inspiron/XPS/Alienware with Windows 10/8.1/8/7. Before you are going to optimize slow performance on dell laptop, the first thing that you are supposed to try is the Windows built-in Performance Troubleshooter, which can automatically find and fix some basic slow issues. It enables you to check issues that might degrade your laptop performance, such as how many users are currently logged on the computer and whether multiple programs are running at the same time. Click Start button and click Control Panel > Type troubleshooter in the search bar and click Troubleshooting > Click Check for performance issues under System and Security > Click Next. Actually built-in performance troubleshooter just plays only a small role when you fix slow/lagged/delayed response on Dell laptop. 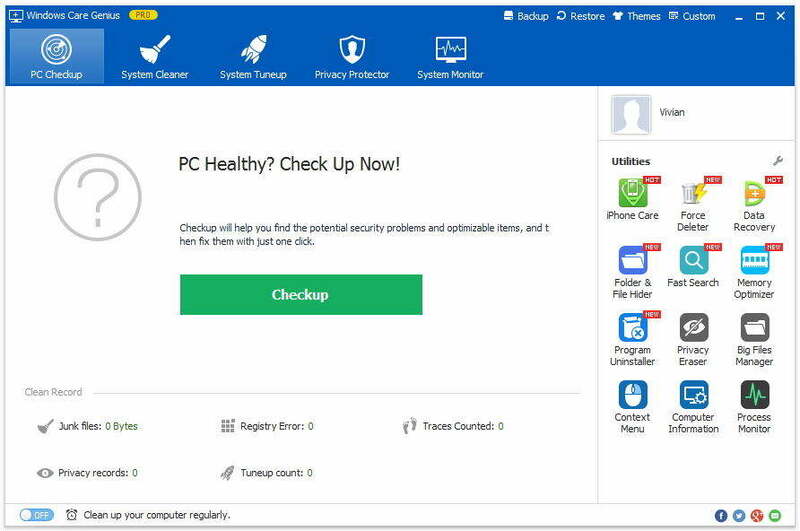 For the best performance, I sincerely suggest you to have a try on Windows Care Genius that is an all-in-one and professional Windows optimizer with 22 powerful features to optimize your slow Dell laptop the best and make it run fast as new. Click Download button below and try it. Step1. Run the program and click Cleanup. Your computer will be automatically detected and rated ranging from 10-0 according its heath status. Step2. Click Fix to solve all the problems with one-click. After that, you can re-click Checkup to check its heath status. Step3. Switch on Clean up your computer regularly in the lower-left corner of interface and tick Silent mode. Here you are allowed to set times to automatically checkup and cleanup your computer in the background. Done!!! You fixed windows 10/8.1/8/7 slow performance on dell laptop. In addition, you can click System Cleaner in the interface to clean invalid registry entries, useless junk files, download history off your computer. Privacy Protector enables you to erase the histories of viewed pictures, watched movies and visit pages to protect your privacy from being spy. By the way, if you need to fix Windows Boot issues, then Tenorshare Windows Boot Genius is your best options. If you have any question, please leave it in the comment section.